What makes a house truly unique? It could be an unusual architectural detail or building material, or an interesting history or back-story. For Laura Scaccia, the current owner of the Rice Cottage on Riverside Avenue in St. Clair, it's a combination of both, plus a surprising set of supernatural parallels. 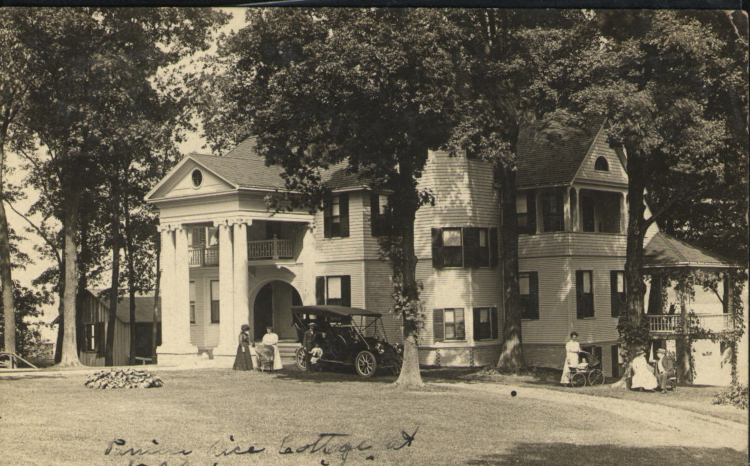 A look at the original Rice Cottage in the early 1900s.The house itself is a beautiful carefully restored throwback to St. Clair's riverboat days. 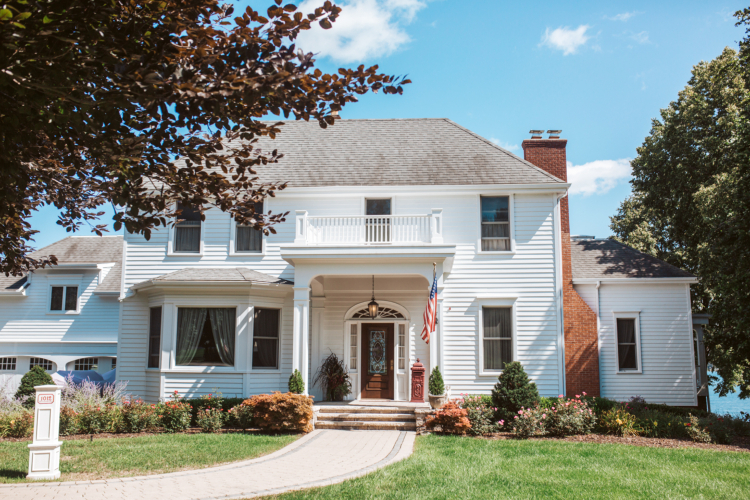 Built in 1900 as a summer cottage for native Michigander and Civil War veteran Captain Frank R. Rice, the house sits perched on a hill overlooking the river. Though it's referred to as a "cottage," the house is spacious, with large windows and a beautiful porch on the water side, ideal for drinking iced tea and watching freighters pass by. A world traveler and successful Missouri businessman, Rice chose St. Clair to build his summer home because of all the places he'd been, he found St. Clair to be the most beautiful. This, says Scaccia, was the first parallel she and her long-time companion, Gary Kohs, noticed in 2015, when they bought and began researching the history of their new home. "Gary had been all over the world, too, and he also said he'd never seen anywhere as beautiful as St. Clair," Scaccia says. Besides the typical restoration tasks of pulling up old carpet and removing 1970s-era faux wood paneling Scaccia and Kohs Finding just the right decor gives the home a feel of the 1800s. dug into the historical record of the home. "Gary was passionate about history, and he tackled this house project the same way he'd gotten into his other history projects, like the Titanic exhibit at his Mariner Theater," Scaccia adds. To restore the house to its original glory, Kohs believed they needed to learn everything they could about its original owner, Captain Rice, even visiting his grave in Arlington National Cemetery. It was in their research of Captain Rice that they discovered a second parallel — Kohs and Rice were born a century apart, Rice in 1843 and Kohs in 1943. While Scaccia and Kohs were fascinated by information about Captain Rice, they were also delighted with archival photos they were able to find of the Cottage, considering the images a treasure trove of details about what the house originally looked like and how it was used. 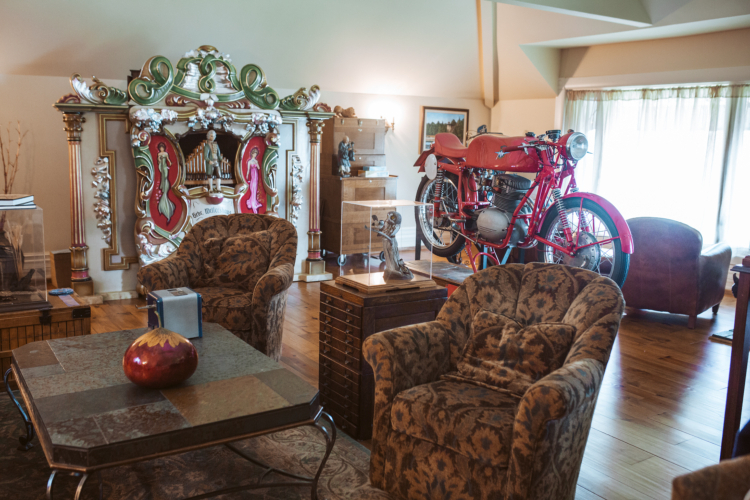 "From the photos, and just from the good vibes of the house itself, I imagine Captain Rice entertaining here, hosting dinner parties here," Scaccia says. "It's such a warm, inviting space." She adds that even in the height of summer, there's always a cool breeze on the back porch, keeping visitors cool and warding off pesky mosquitoes. 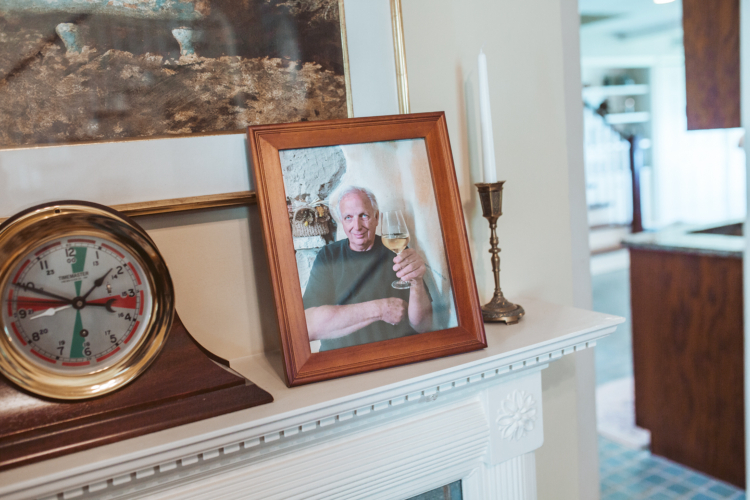 Gary Kohs was dedicated to restoring the cottage until he died unexpectedly last year. "Gary loved the porch, and the view," says Scaccia. She speaks of Kohs in the past tense, because, last year, he died unexpectedly at age 74 -- coincidentally, another parallel to Captain Rice, who died in 1917, 100 years before Kohs, and at the same age. "I do feel Gary's presence here," Scaccia says. She's not talking about a haunting, but rather, an extension of the good vibes she and Kohs had always felt in the house. She imagines him chatting away with Rice, comparing notes on the restoration of the house, sitting on the back porch, enjoying the river view and the cool summer breeze.